Thurs 4/21 (Tomorrow) is our last league duel meet vs Santa Barbara at Buena. Meet time is 3pm. Parent volunteers are welcome! Friday 4/22: Picture Day (Team Pictures / Individuals / Buddy Pic). PLEASE BRING UNIFORMS! May 29: Mountains to the Beach Marathon – fundraiser for our team, we work water stations, we will need approx 30 athletes / parents MORE INFO TO FOLLOW SOON! 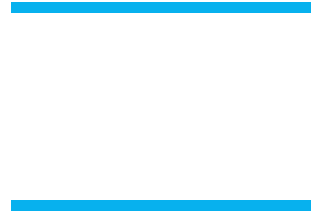 May 18 – July 20: Boogie Nights 5k Summer Series- big fundraiser for our team, our team puts on this event; We would love to see our parents and friends participate in this event. The 6th annual Boogie Nights Summer Run Series presented by Vendurance Tribe Running Club. This is a fun Wednesday Night Run Series taking place 10 weeks from May 18th – July 20th at the Ventura Promenade. The course starts and finishes at Aloha Steakhouse and runs along the oceanfront promenade. A great way to get in shape and have fun while raising money for Buena High School Cross Country. Over the past five years we have raised over $30,000 for the program. Ventura Promenade in front of Aloha Steakhouse.